Finding time for date night as a parent who doesn't really have any childcare available to them is hard! We manage to go out for a meal once every 2/3 months, but that's it. 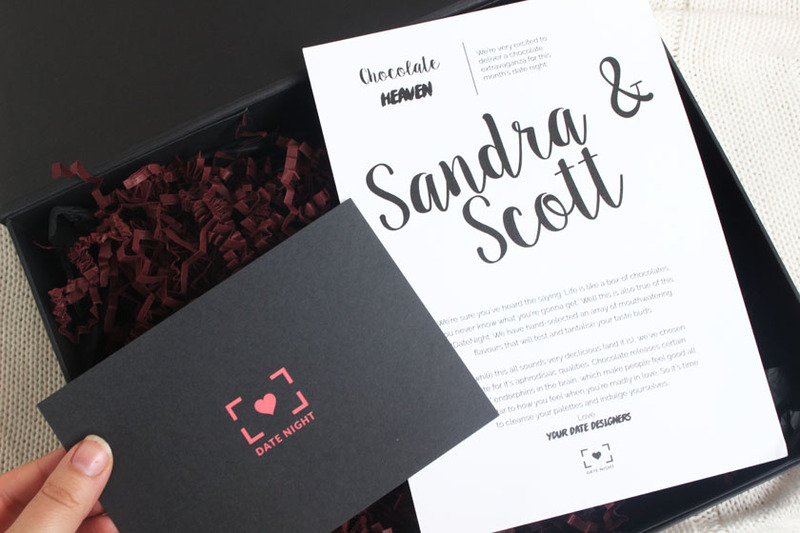 That's why I was super excited about the idea of the Get Date Night box, which allows you to have quality time together in the comfort of your own home! All you need is some free time and the rest is in the box! Yay! 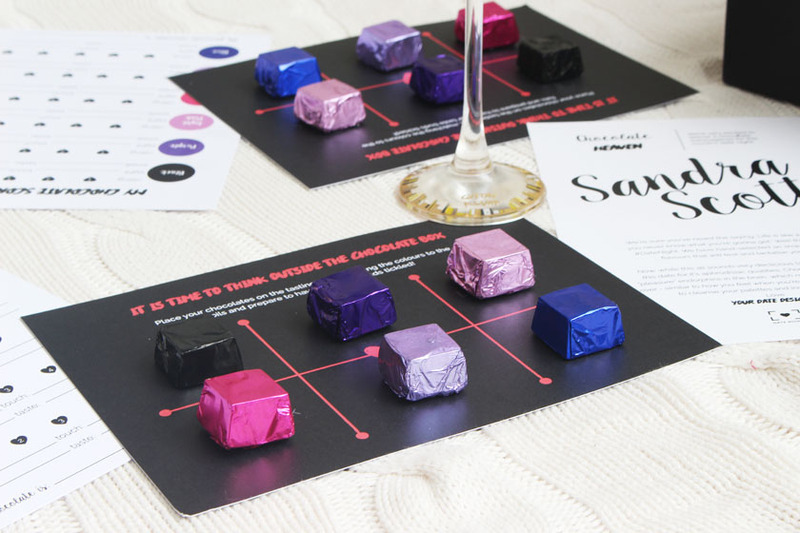 When our box arrived, I couldn't wait for the kids to be sound asleep in bed, so we could enjoy our Chocolate Heaven themed date night! I looooove chocolate, so it was right up my street! 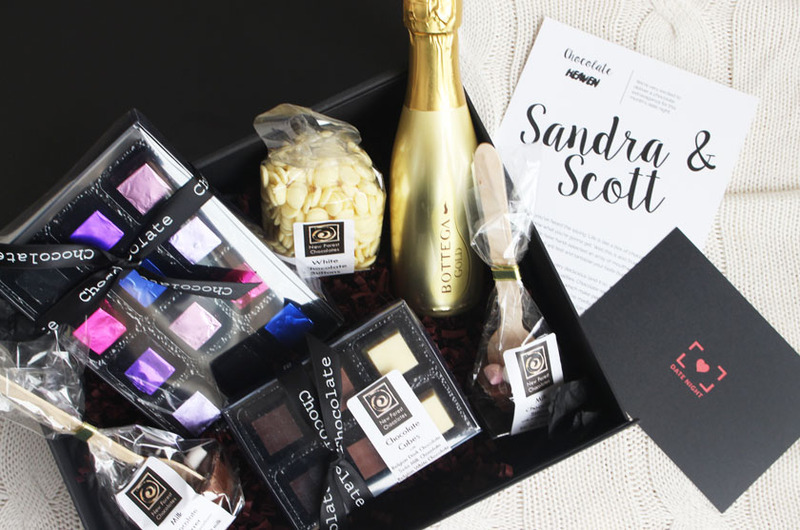 The box was filled with a selection of delicious chocolates and champagne and instructions on how to immerse yourself in the chocolate extravaganza! 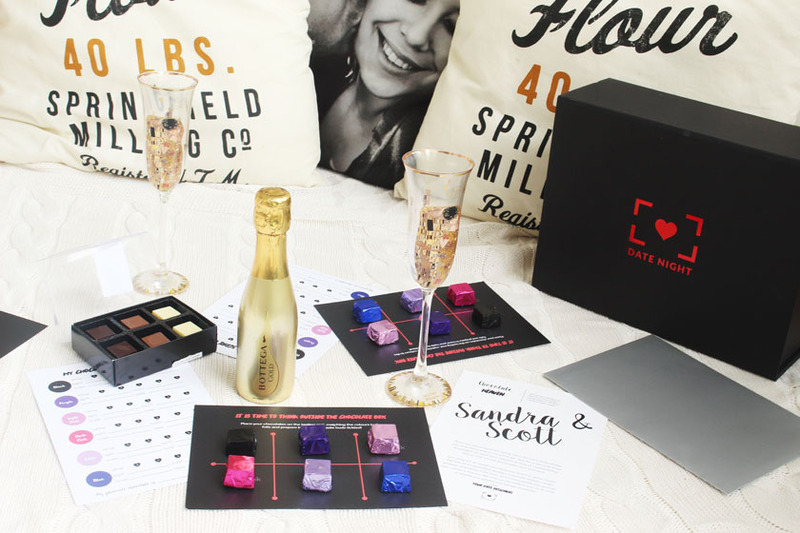 Along with the yummy goodies, the box came with score cards for the main activity and a detailed list of steps for the date night, starting with a special Spotify playlist for the evening. Such a a great idea! The first part of the Chocolate Heaven was a bit messy, but sooo sooo delicious! 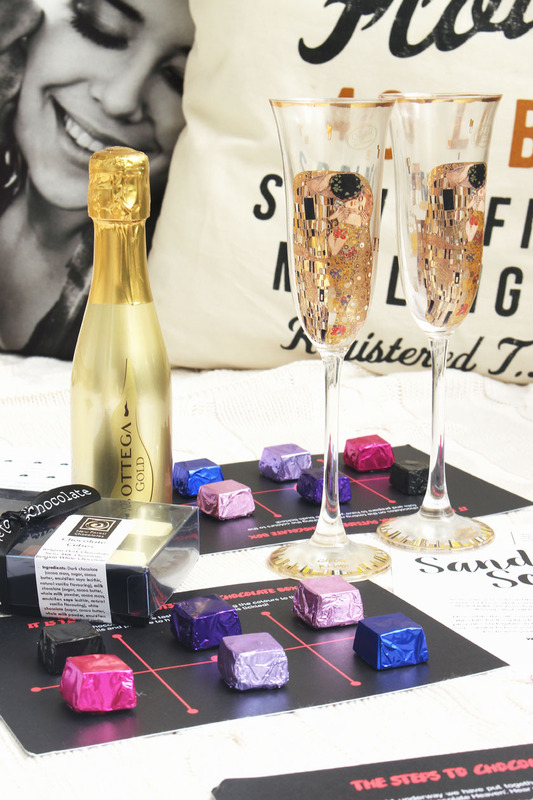 We melted the white chocolate and dipped the glasses in it, filled them with champagne (and a bit of blackcurrant liquor, because I love this combo) and it was absolutely divine! 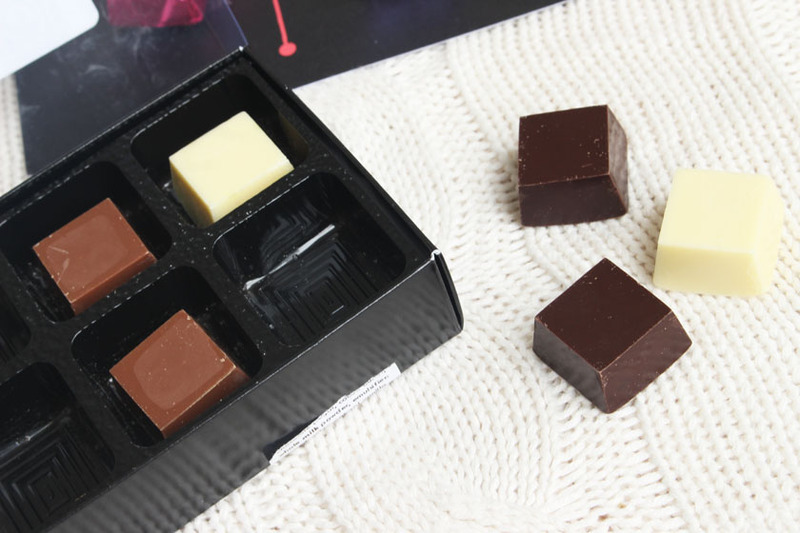 Next, we indulged in the selection of dark, milk and white chocolates to tickle our taste buds, but the best was yet to come! Time for tasting all the mystery chocolates and trying to guess the flavours. It was so much fun and we were giggling and discussing the aromas, texture and the overall taste. When the secret envelope revealed the answers to us, we just couldn't stop laughing at how ridiculously wrong we guessed some of the flavours, haha :) Some of them, we got perfectly. 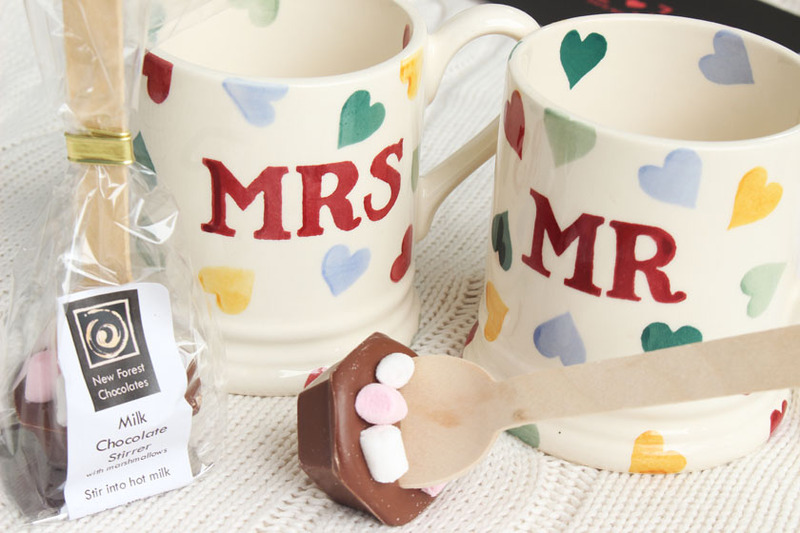 To finish the evening, we stirred the milk chocolate with marshmallows into hot milk (in our MR and MRS Emma Bridgewater mugs of course), snuggled under the blanket on the sofa, catching up with our favourite TV shows. As I am always honest with you, I must admit that Mia started screaming mid-date night and ruined it a bit for us, but that's life, isn't it? I still enjoyed it though and I can't recommend Get Date Night enough! Such an amazing idea to help you keep the spark alive in your relationship. If you think it's hard to keep it alive before kids, just imagine the effort when you're a parent, who doesn't get a single night off EVER! The items in the boxes change each month of course and are sourced carefully to make the experience the best possible and very special. I can't wait to see what else Get Date Night 'date designers 'come up with! 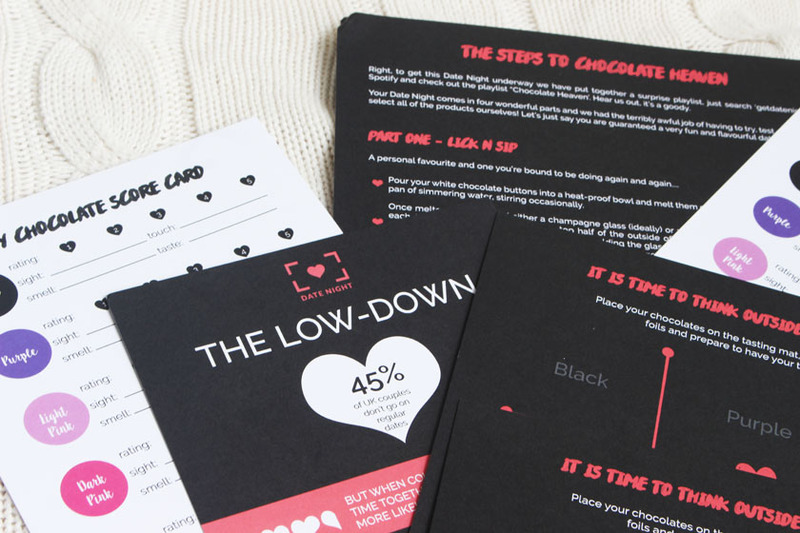 If you like the idea, you can join the queue at www.getdatenight.co.uk and get 50% off your first box.